Pensacola Beach is an unincorporated community located on Santa Rosa Island, a barrier island, in Escambia County, Florida, United States. Eschew the tourist crowds and head to Pensacola Beach and Veterans Memorial Park. Visit Navarre Beach and Gulf Islands National Seashore - Florida District for some beach relaxation. The adventure continues: steep yourself in history at Fort Pickens and tour the pleasant surroundings at Naval Live Oaks Nature Preserve. To see maps, where to stay, photos, and tourist information, go to the Pensacola Beach trip generator. Chicago to Pensacola Beach is an approximately 4-hour combination of subway, flight, and taxi. You can also drive; or do a combination of bus and car. In December, Pensacola Beach is much warmer than Chicago - with highs of 68°F and lows of 49°F. Wrap up your sightseeing on the 26th (Mon) to allow time to drive to Destin. 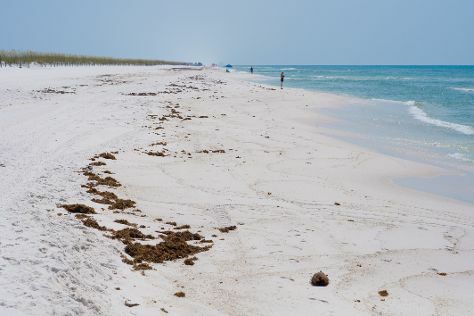 Relax by the water at Henderson Beach State Park and Okaloosa Island. Family-friendly places like Santa Rosa Beach and Village of Baytowne Wharf will thrill your kids. Next up on the itinerary: make a trip to Destin Harbor Boardwalk, get some thrills on the water with a speed boat tour, and look for gifts at Sexton's Seafood Market. For maps, traveler tips, where to stay, and more tourist information, read Destin trip builder. You can drive from Pensacola Beach to Destin in 1.5 hours. Another option is to drive. While traveling from Pensacola Beach, expect little chillier days and about the same nights in Destin, ranging from highs of 63°F to lows of 47°F. 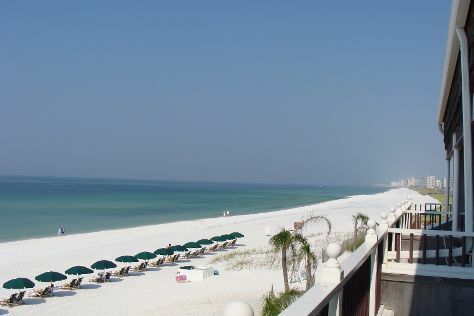 Finish up your sightseeing early on the 29th (Thu) so you can go by car to Panama City Beach. You'll discover tucked-away gems like St. Andrews State Park and St. Joseph Peninsula State Park. Bring the kids along to Camp Helen State Park and Pier Park. Next up on the itinerary: take a stroll through Panama City Beach Winery and look for gifts at The LH Bead Gallery. For ratings, other places to visit, photos, and tourist information, read our Panama City Beach trip itinerary builder. Drive from Destin to Panama City Beach in 1.5 hours. Alternatively, you can drive. Due to the time zone difference, you'll lose 1 hour traveling from Destin to Panama City Beach. In December, daytime highs in Panama City Beach are 66°F, while nighttime lows are 44°F. Finish your sightseeing early on the 1st (Sun) so you can travel back home.